The research firm also said that Huawei, HTC and LG will launch phablets this year. We’ve already seen the Vu — LG’s 5-inch phablet — but we haven’t heard much about possible competing phones from HTC or Huawei. 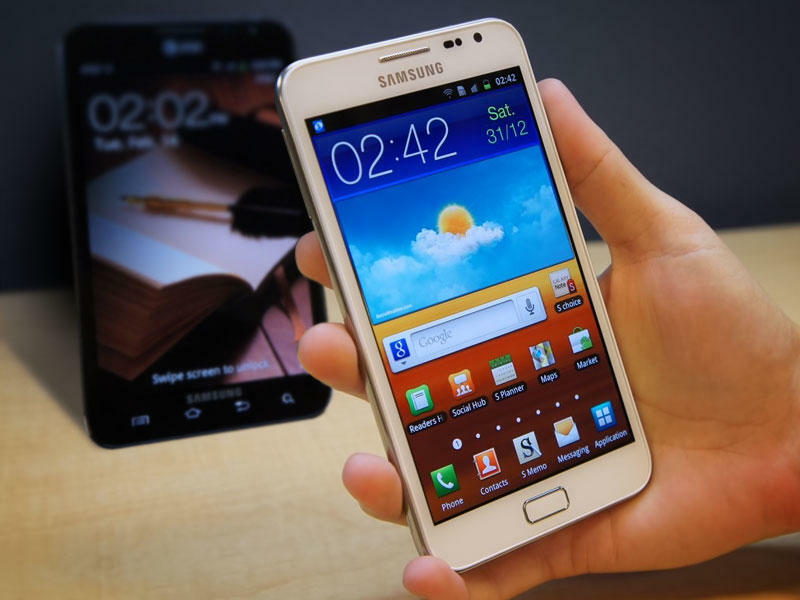 However, ABI Research defines a phablet as a device with a screen size between 4.6 inches and 5.5 inches and includes the Galaxy S III, which has a 4.8-inch display, in the phablet family. LONDON–(BUSINESS WIRE)–More than 208 million phablets, a hybrid device that is larger than a smartphone but smaller than a tablet, like the Samsung Galaxy Note, will be shipped globally in 2015. Despite the slow start for phablet smartphones in 2011, the market is at the dawn of the phablet era. HTC, LG, and Huawei will each introduce phablet smartphones in 2012, joining the ranks of Samsung’s Galaxy Note and Nexus. Additionally, another phablet smartphone was released earlier this month, the Samsung Galaxy S3. “One of the chief drivers for phablets is the amount of time people use their smartphones for web browsing, reading articles and newspapers on the go, or simply navigating their journeys,” says senior analyst Joshua Flood. “The larger screen sizes make a significant difference to the user’s experience when compared to conventional-sized touchscreens between 3.5 to 4 inches.” Additionally, new phablet-styled devices provide an attractive two-in-one device proposition and are beginning to see the competition between these larger smartphone form factors and smaller media tablets (less than seven inches). ABI Research’s “Phablets and Super Smartphones” (http://www.abiresearch.com/research/1010944) details phablet smartphones and super smartphones and examines the potential opportunities each of these new smartphones offer. The report goes into further detail on segmentation of smartphone screen sizes and presents detailed information on super smartphones, regional opportunities, and total market sizes by revenue and shipments.